Winter Water Factory creates the most luscious Organic Baby Snapsuits in many fresh, eye-popping designs, sure to make your baby stand out, or you know, look much cuter when she’s cranky. 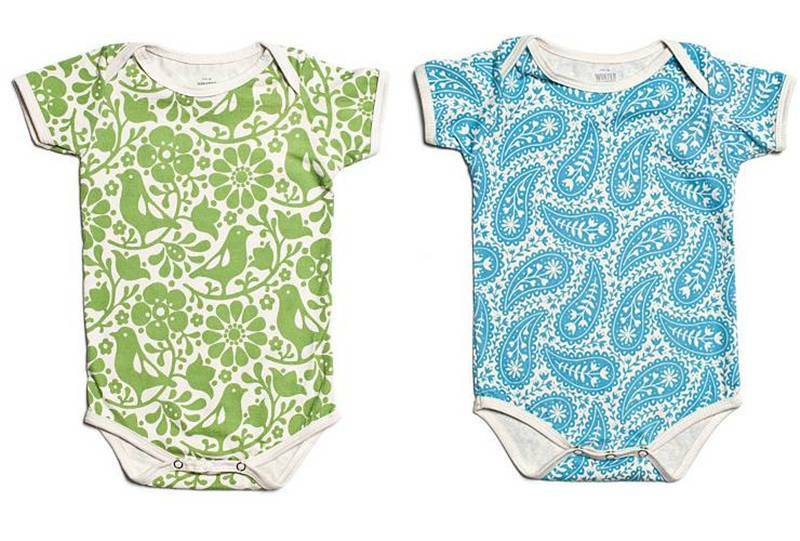 Each beautiful soft organic cotton snapsuit from Winter Water Factory is like a little work of art featuring hip designs such as bright birds, swirling flowers, paisley, whimsical creatures and much more. You can find sweet baby pastels here, if that’s your craving, but the factory also doesn’t shy away from bold colors, atypical, but a nice surprise for baby fashion fare. All the textile prints are unique and Winter Water Factory crafts all their products in the USA from 100% certified organic cotton. Winter Water Factory also offers baby tees and some older kids clothing as well.